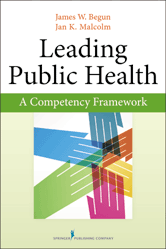 Leading Public Health is intended to equip current and aspiring public health leaders with the knowledge and competencies they need to mobilize people, organizations, and communities to successfully tackle tough public health challenges. Designed specifically for graduate students and practitioners of public health, the book highlights the aspects of leadership unique to this field. 1 Why Leadership? Why Now?